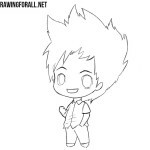 Chibi is an anime character style with a small body and a large head almost commensurate to him. Chibi always look more cute and simplistic compared to regular appearances of characters. In this style are drawn personages of manga, comics, cartoons and other characters from the mass culture of the whole world. But in order to draw certain heroes or villains, you first need to know the basic principles of drawing in this cute style, so today we are going show and tell you how to draw a chibi girl. First, we will draw a large oval. Place it on top of the sheet. As you probably guessed, we drew a contours of the head of the chibi girl. The first four steps are just preparation for drawing, so do not try to draw out all the lines too perfect and dark. 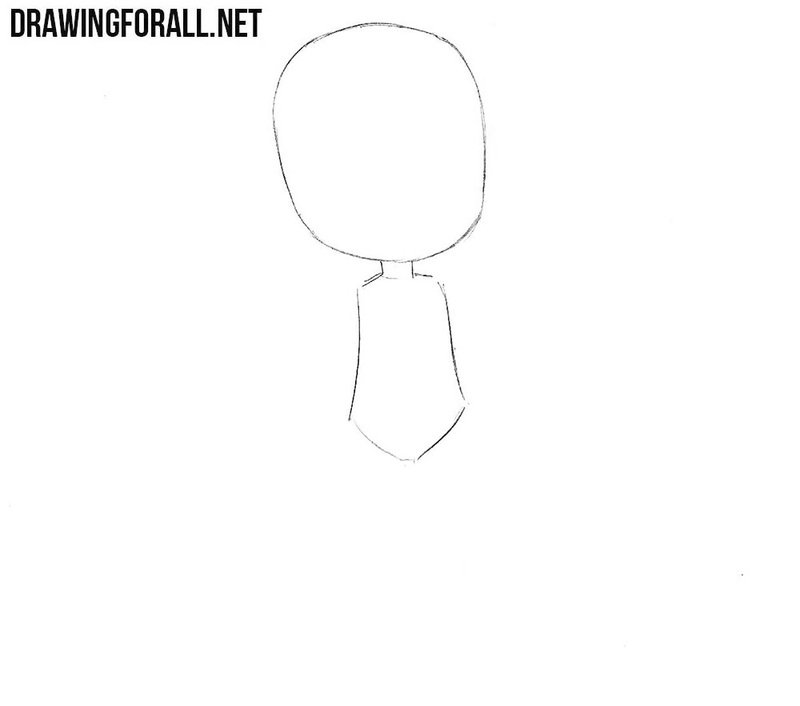 Now let’s draw a small narrow shape of the torso. The length of the body is almost equal to the length of the head. Don’t forget to draw a short but noticeable neck. Note that the hips in the figure of the girl should be noticeably wider than the shoulders. In this step we will draw the outlines of the legs and arms. In fact, these proportions are not quite typical for Сhibi, because usually the legs of Chibi are much smaller. Another important thing: the bodies of chibi women and chibi men have the same proportions usually. With the help of two light movements we sketch the lines of symmetry of the chibi girl’s face. Also, our task in this step is to draw a hairstyle silhouette. You can make the hair of the girl shorter or longer. Also, you can make completely different haircut. By the way, do not forget to draw the contours of clothing. Now let’s draw a big expressive eyes. Draw dark eyelashes and pupils with glare. A very important note is that chibi eyes almost always occupy a significant part of the head, but their eyes sometimes look like ordinary points. By the way, you can practice drawing eyes in this anime drawing lessons. 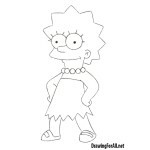 In this step we will draw out the hairstyle of this cute character and contours of her face. First, gently draw out the smooth lines of the jaw and cheeks. Then draw the eyebrows, which should be high enough above the eyes. We finish the step by drawing the hair with dark lines and removing unnecessary guidelines from the face. 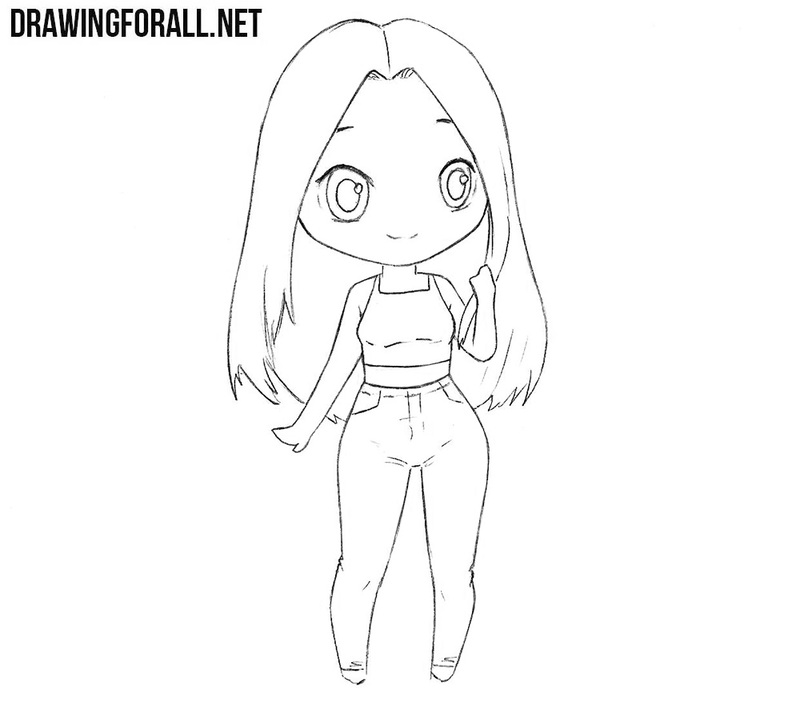 Here we will draw out the upper body of the chibi girl. The figure of chibi is usually not very similar to that of an ordinary human, but in this lesson we made our chibi girl a little more look like a real girl. Try to convey all the details of the body using the most simple lines. Now we have to draw out the lower body of the girl. By very smooth lines draw the legs, which first expand in the hips, then narrow in the knee area. To make a drawing more realistic, add folds and seams. You can also color your chibi pattern, just use pastel colors, and then your drawing will be even sweeter. This drawing lesson was dedicated to all anime lovers, and was drawn by the great lovers of this style of fine art, and if chibi and anime is close to you too, then do not forget to tell about this lesson with those who may be interested in this section of art. Thank you so much! I got so much inspiration! You’re very talented! Very nice. I drew this myself and was very successful, thanks to you guys! You’re very talented! This site is very helpful and it helping me learn how to draw. I was drawing sailor moon and this really helped! OMG u guys are so good!! 😃 thx so much! I love sailor moon. You just gave me an idea!! !